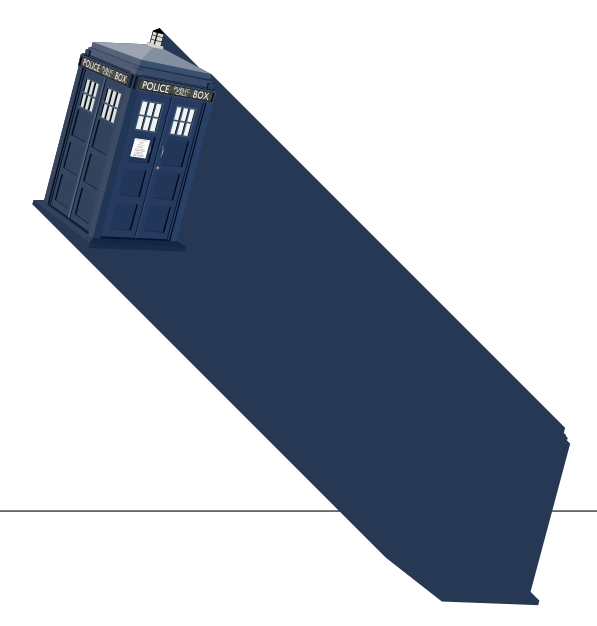 So I've been trying to create a long shadow effect in Inkscape using an SVG image. As you can see, I've been able to do this with a shape. 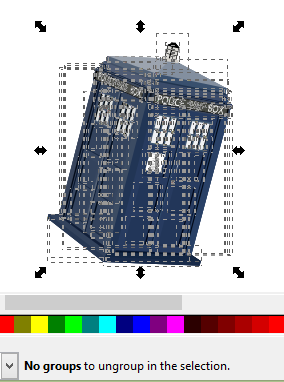 But haven't found a way to do so with an SVG image. What I'd normally do is select both paths and choose Extensions>Generate from path>Interpolate, but of course, in my experience, this requires a path. 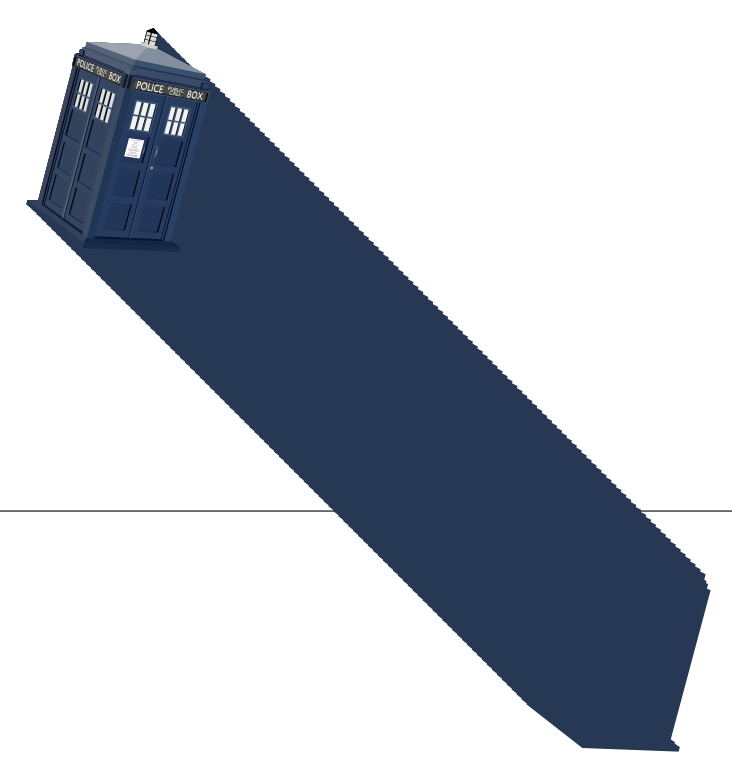 I've tried various ways to convert the image to a path, but have thus far been unsuccessful. 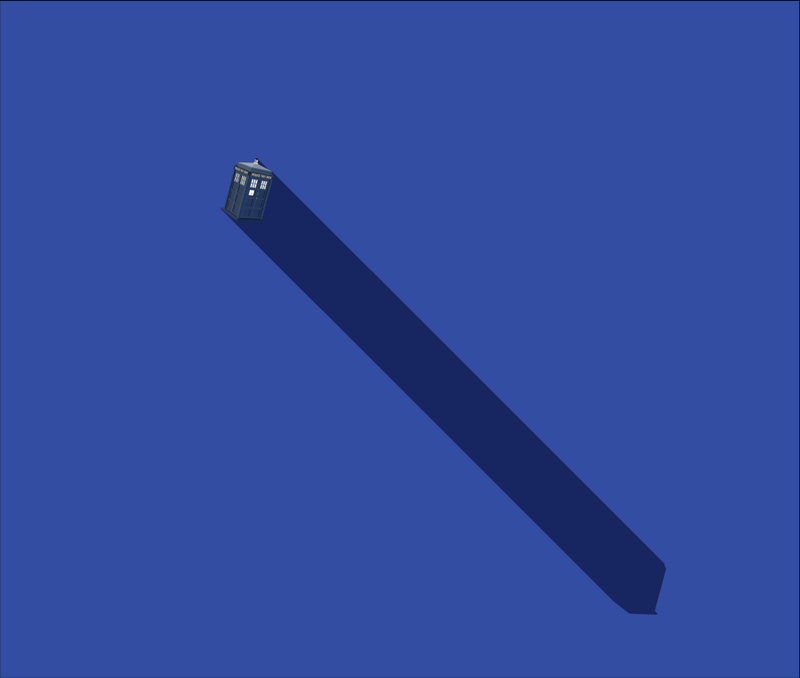 So my questions are: Is there a way to create a long shadow effect without a path? 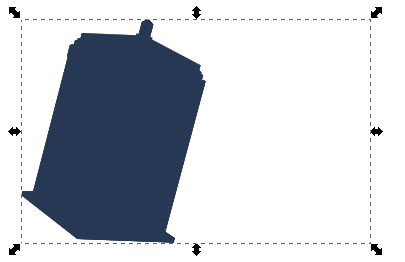 If not, is there a way to convert the SVG image to a path? 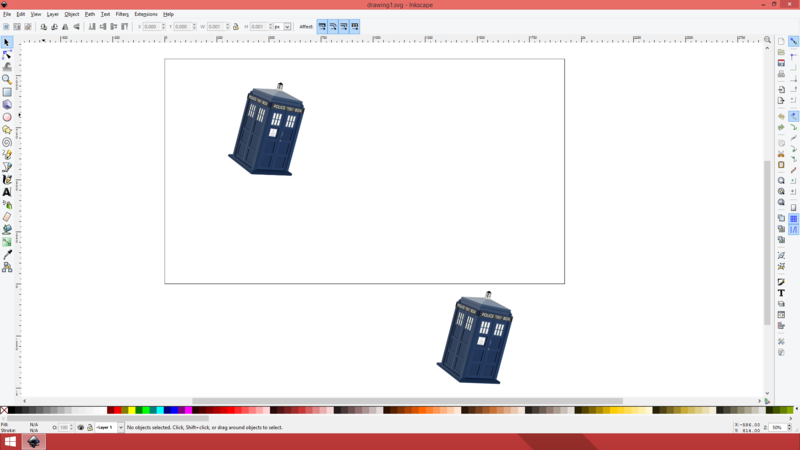 All I should need is an outline of the image. After seeing your file, I can answer. 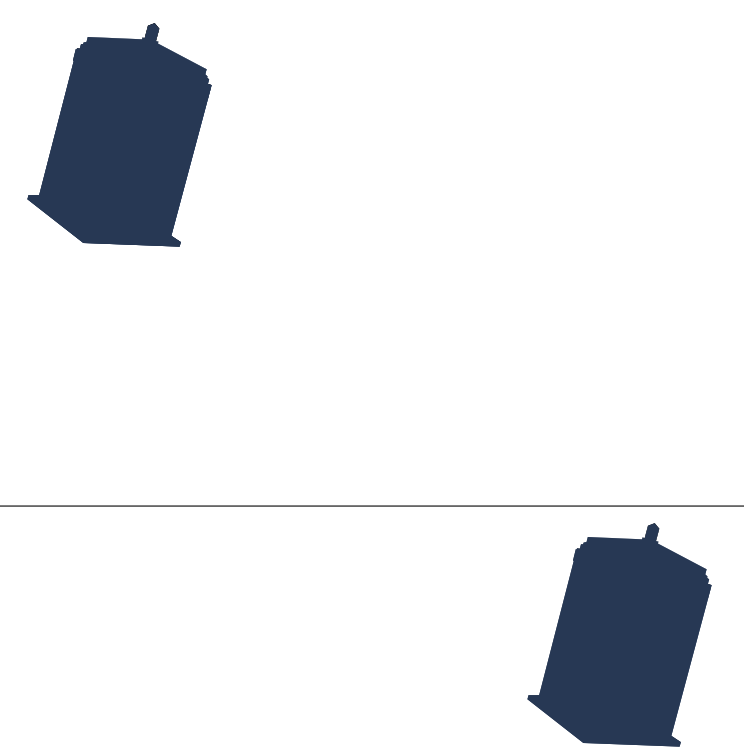 At first, duplicate the Tardis with Ctrl-D, then select just the duplicate, hit repeatedly Shift-Ctrl-G to ungroup all the nested groups until appears the message "No groups to ungroup in the selection". 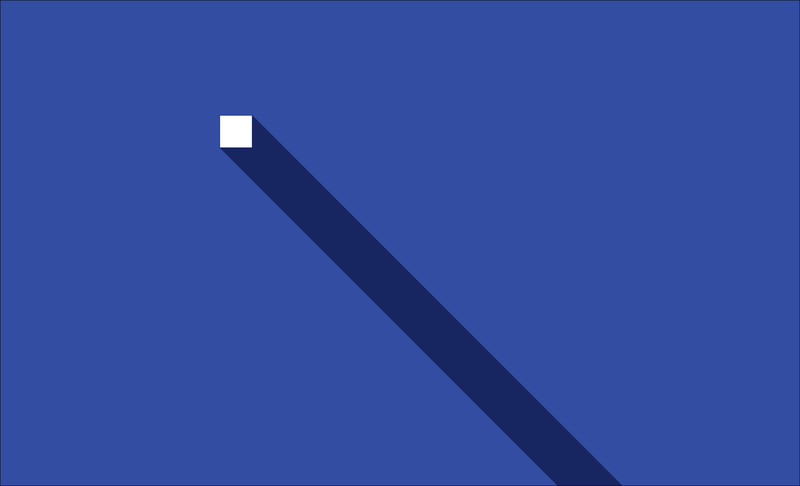 The groups contain text and other objects, so you have to use Path...Object to path, and again Shift-Ctrl-G until done. 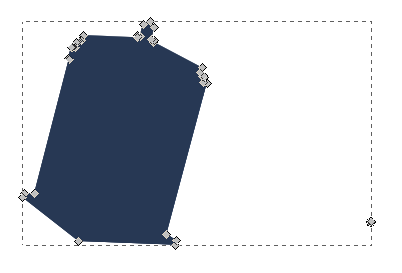 The motion uses less nodes, and I suggest you to give a look to this function.